I’ve been so incredibly tired when I get home lately, dragging my feet, grunting every other word tired. As if my brain can barely get up the energy to form sentences let alone singular words. We’ve all been there haven’t we? It’s worse it seems when I’m hungry. My tummy rumbles louder than thunder as I search the fridge, freezer and cupboards for something, anything. 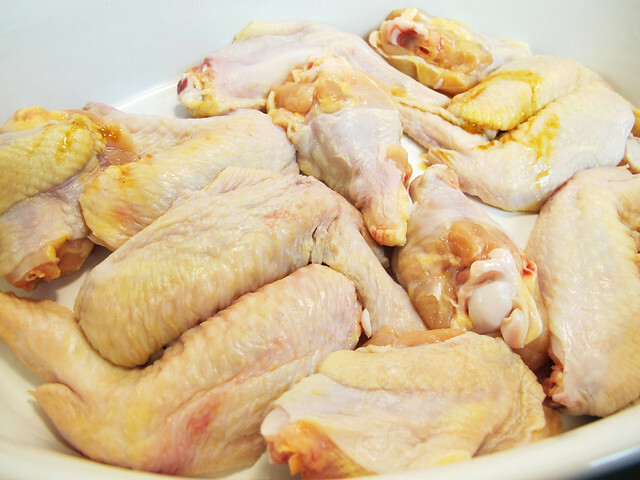 Luckily on this particularly tiring day, there was chicken wings clean, trimmed and waiting for me in the fridge. I love crispy wings, baked or fried and I have a moderately short but involved method of cooking them. Tonight, however, was not the night for “involved methods” of cooking. Instead, I whipped up the glaze, threw it all together and into the oven. As I puttered about doing light housework and making rice, I’m reminded of how much I love easy cooking like this. 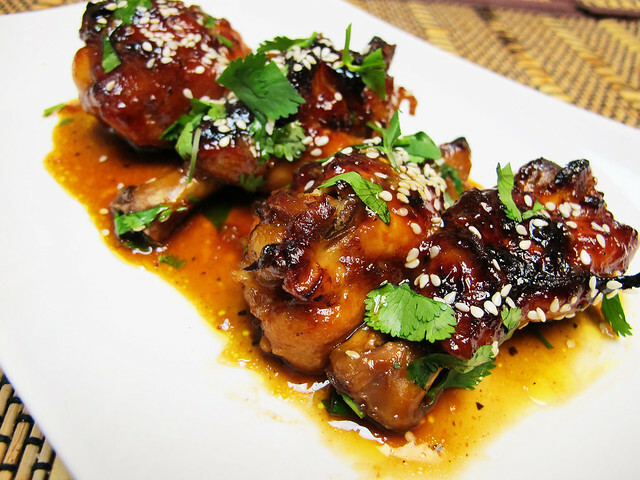 The time flew by and before I knew it, I had sticky, sweet, spicy chicken wings and a beautiful sauce to spoon on top of my rice for dinner. My dad and brothers devoured every single wing I made, which is always a lovely feeling even if I was slightly sad I didn’t have left overs for the next day! 2. 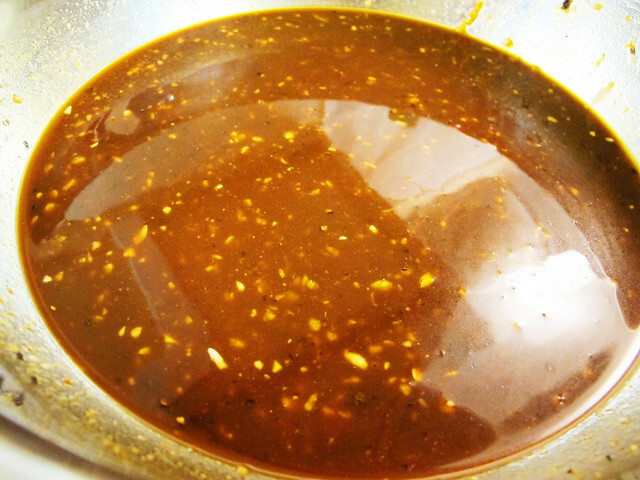 Mix together all ingredients from Oyster Sauce to Chili Garlic Sauce. Whisk to dissolve jam. Mix water and corn starch, fully dissolve corn starch, add to glaze mixture. Add black pepper to taste. 4. 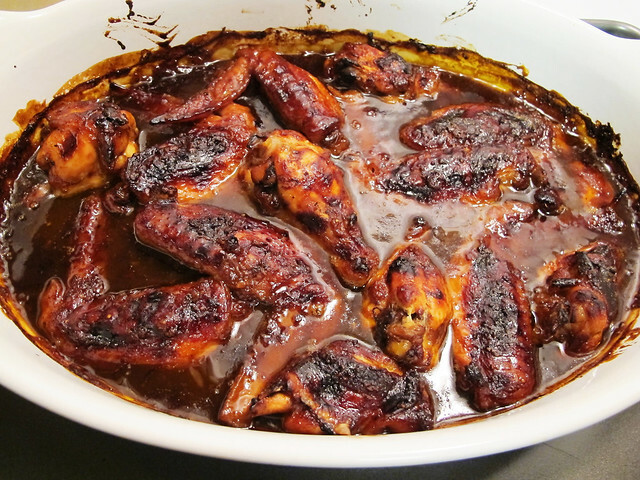 Pour sauce over wings, bake for 35-45 mins or until wings are done. 5. 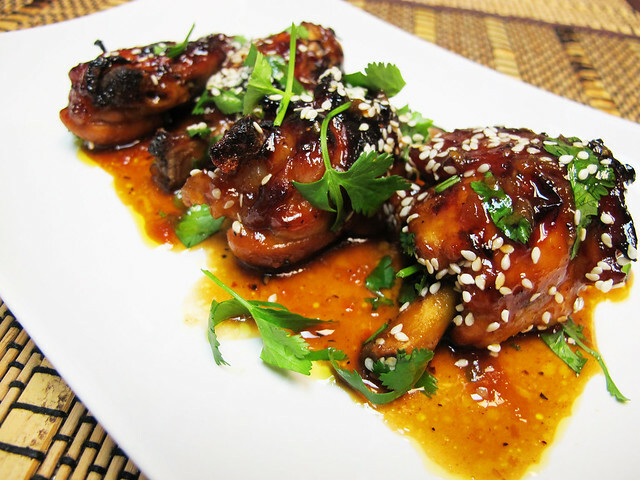 Turn broiler on high, with wings about 6-7 inches below flames. 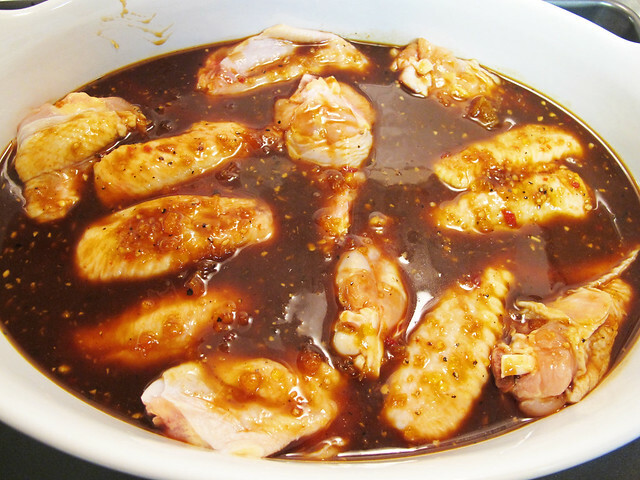 Broil until wings are brown and charred. 3-5 mins, don’t burn them! 6. 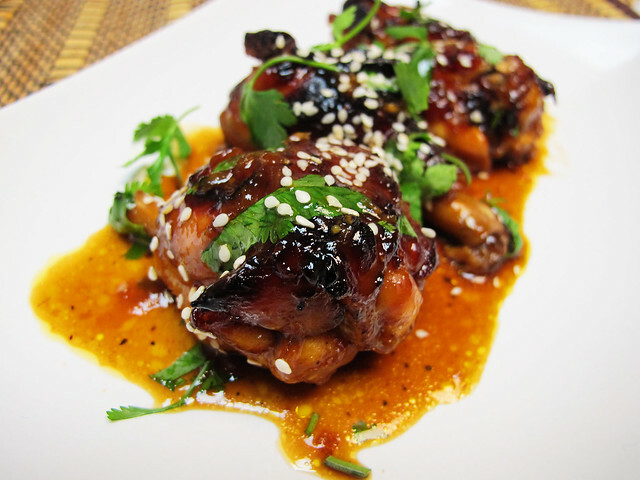 Top with a sprinkling of cilantro and sesame seeds. Scoop that thicken sauce over rice, pop open a beer or beverage of choice and finally put your feet up. It’s time to relax! WEEK 12 of 52… CHECK!